Yesterday, we wrote about Chapter 7 bankruptcy, taxes and your income tax refund. Today, we dig into the tax consequences of filing Chapter 13 bankruptcy in North Carolina. Chapter 13 takes much longer than Chapter 7 to complete—it’s a matter of years versus a matter of months, but is a better fit for some than liquidation bankruptcy. Here’s what you must know about Chapter 13 and income taxes. Unlike Chapter 7—where assets not protected by bankruptcy exemptions are liquidated to pay debts—Chapter 13 allows you time to catch up on past-due debt. Your North Carolina bankruptcy attorney sets you up on a repayment plan that will last three to five years. You must pay your monthly obligations on secured debts like a mortgage or car loan and a bit towards the past due debts as well. The big benefit of Chapter 13 over Chapter 7 is that anyone with a regular income can qualify for the program. Also, if you’re behind on your secured debt payments, Chapter 13 allows you time to dig yourself out of debt while Chapter 7 will force the issue and you must give up secured assets, such as your car or home, to get rid of the debt. The two chapters of bankruptcy are strikingly different. How Do Taxes Work With Chapter 13 Bankruptcy? 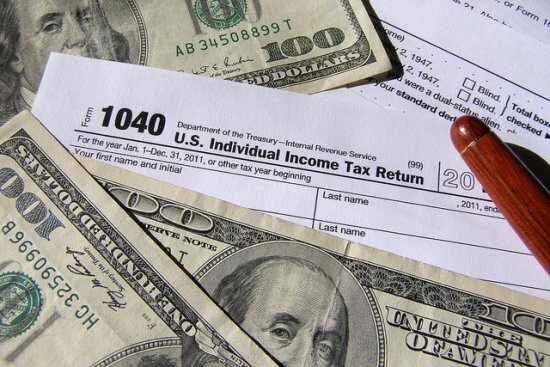 Are you expecting a tax refund this year? If so, filing Chapter 13 bankruptcy will have an impact. The trustee assigned to your case will review your taxes and your refund amount, and it is at their discretion whether they will seize the refund to benefit your creditors. If your repayment plan is set up (as most are) so that your unsecured creditors don’t get all they’re owed, you may lose your refund. Why does this happen? All disposable income must go towards debt in a Chapter 13 plan—and income tax refunds are disposable income. It is money you overpaid the IRS that should have been in your paycheck and is eligible to go towards your debt. What’s worse is that even if they take your refund, your plan payments won’t be lowered. Income taxes owed and filed within 240 days before filing Chapter 13 bankruptcy must be paid in full as part of your bankruptcy plan. But for older tax returns, your trustee and the bankruptcy court might classify them as unsecured debt, and those are generally paid back at far less than face value. That can be a major benefit if you’ve got lots of aging tax debt. The situation is more complex if the IRS has placed liens on your assets for overdue taxes. Income taxes will also stick around if the court decides you submitted a tax return with deliberately inaccurate information or attempted to evade paying taxes. Employment taxes and property taxes will generally survive Chapter 13 filing and also must be paid in full. First, file your taxes if you have returns outstanding from a year or two prior. The bankruptcy court requires you to file your taxes and submit the returns, so don’t try to avoid it. Second, if you’re not contributing to your 401(k) and are older (50 years plus), you may want to set up contributions to lower your tax withholdings so you don’t get a refund. The older you are, the better your chances of approval. Some bankruptcy jurisdictions allow 401(k) contributions during Chapter 13, and some do not. Third, you can lower your withholdings so there’s no refund and you have more money to help pay your bankruptcy plan. The best strategy is to consult a tax advisor before you file bankruptcy. To learn more about the benefits of North Carolina bankruptcy, contact the Law Offices of John T. Orcutt today. Dial 1-800-899-1414 now for a free NC bankruptcy consultation at one of our locations in Raleigh, Durham, Fayetteville, Wilson, Greensboro or Garner.